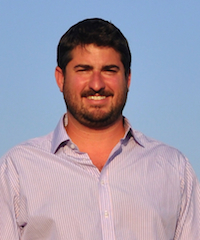 Aaron Mandell is the chief executive officer and a co-founder of AltaRock. Aaron is an entrepreneur and engineer who has co-founded and been involved in raising capital from leading institutions for several companies at the nexus of energy and water, including AltaRock, WaterFX, Oasys, Coskata and GreatPoint. Through his leadership, this portfolio of companies is advancing new products in fields such as solar desalination, industrial water treatment, enhanced geothermal energy, coal gasification and alternative chemicals. Prior to AltaRock, Aaron served as CEO of Oasys Water where he led the company from laboratory prototype to implementation of the company’s produced water treatment system and as the founding CTO of GreatPoint Energy where he led the development of the company’s coal gasification process. Aaron has deep roots in the energy and water industries with a technical background in environmental engineering (B.S./M.S.) 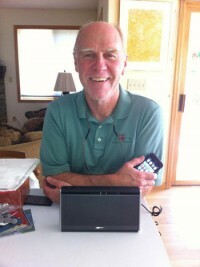 from the University of Vermont, where he focused on numerical modeling and groundwater hydrology. 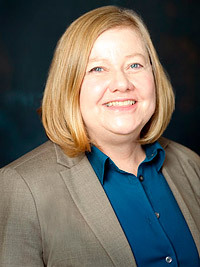 Susan Petty is the chief technology officer, president, and co-founder of AltaRock Energy, Inc. With more than 30 years of experience in the geothermal industry, Susan’s work has included all aspects of testing, evaluation, analysis, modeling and optimization for geothermal wells, wellfields and powerplants. She has also negotiated geothermal lease agreements, power sales agreements, geothermal project financing agreements and geothermal property sales and purchases, and completed policy studies for state and federal agencies. Susan has driven geothermal electrical generation projects in locations around the world, including: California, Nevada, Indonesia, the Philippines and Central America. In addition to her extensive experience in the private sector, Susan has worked with the Department of Energy in performing policy studies on the economic modeling of geothermal pricing, and the impact of technology improvement on the cost of geothermal power. She has been instrumental in developing information, planning and designing software for use in developing public policy in geothermal energy. Susan holds a B.A. from Princeton University in Geology, and an M.S. in Groundwater Hydrology from the University of Hawaii. 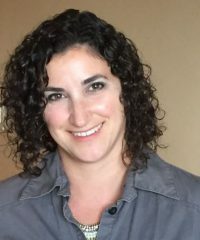 Laura Nofziger- Vice President and Managing Director, AltaRock Services, LLC. Laura has recently re-joined the AltaRock team as the Senior Vice President and Managing Director of AltaRock Services, LLC, a wholly-owned subsidiary of AltaRock Energy, Inc, where she is leading a team of 24 technical and field professionals, including the Blue Mountain Geothermal Power Plant operations and maintenance staff and the technical and business development team members within AltaRock. She has 16 years of energy industry experience in production, reservoir and fracture stimulation engineering and management. Laura previously served as eni Petroleum’s Production Manager over their Nikaitchuq asset on the North Slope of Alaska where she was responsible for overall management of Production & Operations activities, including well performance, plant performance, maintenance activities, production team staffing, HSE performance & compliance of the operations staff, as well as financial & strategic planning of the asset. As production manager, she managed a team of more than 200 people, a 40,000 BOPD processing facility, over 40 extended-reach horizontal wells, and the asset’s operating budget. Prior to her position at eni, Laura was the lead engineer for AltaRock Energy (ARE) in Seattle, Washington. While at AltaRock, she aided in the development of patented EGS technologies, prepared a proposal to the Department of Energy, which resulted in a $6M grant, for the Newberry EGS Demonstration. She has been involved in all aspects of geothermal project management, from greenfield development through plant operations. Prior to AltaRock, Laura worked as a production engineer for several independent oil and gas companies, overseeing onshore southern US assets where she consistently demonstrated the ability to increase production from older fields through workover and bypassed pay recommendations. Laura holds a BS in Petroleum Engineering from The University of Texas. She is the proud mother of four children and the wife of a retired Air Force officer. Trenton Cladouhos is senior vice president of research and development at AltaRock Energy. Trenton is responsible for developing, improving, and testing AltaRock’s technologies for improving production in EGS and conventional geothermal reservoirs. He also manages the geologic and geophysical aspects of AltaRock EGS and stimulation projects — most recently working as the lead geoscientist at the high-profile Newberry Volcano EGS Demonstration. Trenton is the primary author on the Newberry Induced Seismicity Mitigation Plan, and managed the design, procurement, installation and operation of AltaRock’s microseismic arrays for monitoring EGS reservoir growth at various projects, including a 15 station array at Newberry. His research specialty, both in academia and industry, is the mechanics and fluid flow in fractured and faulted rock. Trenton’s doctoral thesis included kinematic analysis of Neogene faulting in the high Andes of Argentina and Bolivia, and new numerical techniques for quantifying brittle deformation. After graduate school, Trenton did postdoctoral research at the University of Washington where he studied the mechanical behavior of fault gouge from Death Valley, CA, and then worked as a consulting geologist at Golder Associates, where he created 3D discrete fracture network and fluid flow models for clients in the petroleum industry in the North and South America, and Asia, and nuclear waste isolation industries in Japan, Sweden, and Finland. Trenton earned his B.S. in Geology from Stanford University and a Ph.D. in Geological Sciences from Cornell University. Michael Moore is a senior mechanical engineer and registered professional mechanical engineer in the State of California with more than 30 years of experience in renewable and conventional power project engineering, design, construction and operations. Michael has served as project manager and plant engineer on IPP turbine fleets (geothermal steam and SCGT) including projects that encompass multiple generating units. Early in his career, Michael served for eight years in the engineering design, construction management, and start up roles. He also has design experience with multi-disciplinary architectural and engineering firm. 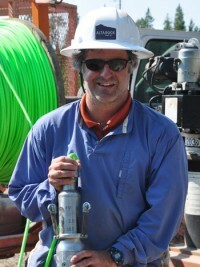 Michael has direct experience with key geothermal project sites in the western United States, including: Coso geothermal; NCPA and Calistoga geothermal in the Geysers, CA; Imperial Valley East Mesa geothermal. Michael has also worked extensively on several Nevada geothermal projects including Dixie Valley and Beowawe and Steamboat. For three years in the early 2000’s, Michael served as Caithness Energy’s lead project manager and lead mechanical engineer for the Coso geothermal operations. At AltaRock, he manages the Newberry EGS Demonstration, a complex project involving extensive collaboration with the US Department of Energy, Forest Service, and Bureau of Land Management.